Rotten Ralph is a feisty, mischievous cat, whose antics in Jack Gantos' books delight young and old readers alike. Last week our first graders retold the Rotten Ralph story onstage in front of their parents and then each boy presented his parents with an original picture book he had written and illustrated, based on the Rotten Ralph series. "Rotten Ralph Goes to Science Class," "Rotten Ralph Visits the Apple Store," "Rotten Ralph Goes Snowboarding," and "Rotten Ralph Goes to the Movies" were some of our boys' titles. You can imagine what trouble Ralph was going to cause in each of these venues, and you can also imagine how proud our first grade author/illustrators were as they took their places with their parents and read them their stories. Throughout this year, through modeling and guided practice, the first graders have become increasingly independent writers, able to write in a variety of genres. 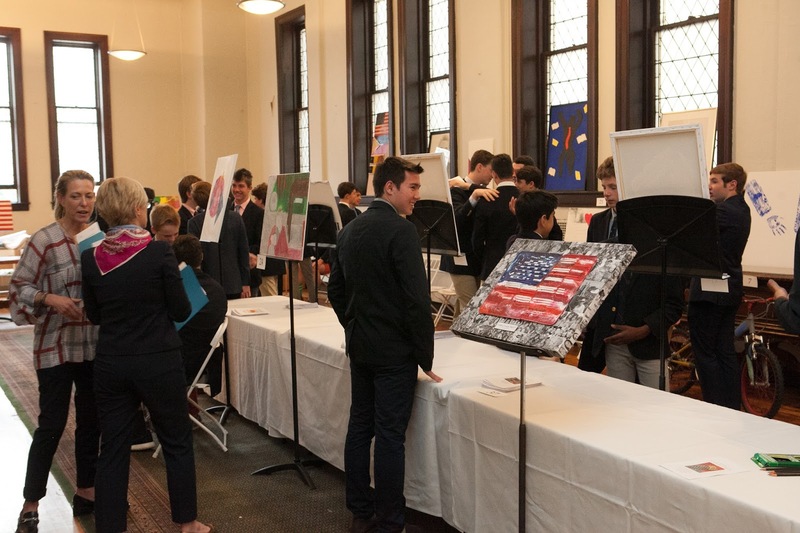 Curiosity drives the Eighth Grade Arco competition, the major spring project in humanities class in which our boys are challenged to create a piece of work in the spirit of a famous modern artist. The boys visit museums and review art books to select an artist whose work speaks to them, piquing their curiosity to learn more about the artist's life and art. Their creations are personal interpretations that incorporate each boy's unique vision and perspective. The boys also write a biography of the artist and reflect on the process they used to create their work. Last week, they presented their artwork and the rationale behind it to a panel of judges during the day and to their parents in the evening. Some of the featured artists this year included Walker Evans, Salvador Dali, Jasper Johns, Keith Haring, and LeRoy Neiman. The boys impressed us with their artistry, knowledge of their chosen artist, and their analysis of their own art-making process. 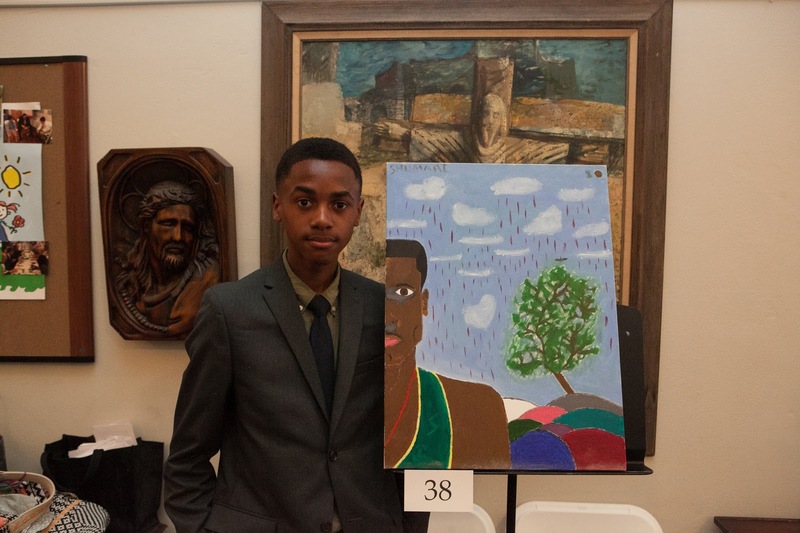 This project, conducted under the guidance of their teacher and art historian Nancy Iannicelli, is a favorite of mine, as it showcases not only the boys' art history knowledge, but how they have learned to question and analyze so eloquently. Eight members of Saint David's Model UN participated in the Fieldston Ethical Model UN Conference this past weekend. The boys, involved in committees on the Syrian Civil War, North Korea Reunification and the Somali Civil War, worked with their peers to respond to real-time crises created by the Fieldston facilitators. 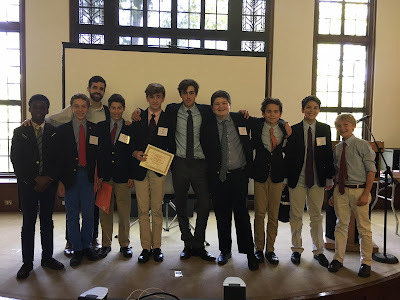 The conference was run by Ryan Kelly '14 (shown in center of photo), who is a founding member of Saint David's Model UN Club, and head of the Fieldston Model UN Club. Gavin K. '18 was awarded "Outstanding Delegate" for his role as the Somalian Government. The boys had a terrific time and are already talking about next year's conference! The Parents vs Faculty Softball Game in Central Park this past Friday celebrated sports and community at Saint David's. While the game was in full swing, members of our community picnicked nearby. We all had so much fun watching the game and relaxing together on a warm spring afternoon. Thanks to the Committee on Community and Inclusion for sponsoring the picnic event and to all of the players who, true to Saint David's form, exhibited skill and sportsmanship. Last week's spring concert featured a diverse and impressive program by Saint David's Philharmonic Ensemble, The Percussion Ensemble, and Chamber Singers. The Philharmonic Ensemble boys, conducted by Philip Hough, opened with "Le Rejouissance" (Handel) and "Slavonic Dance Op. 45, no 9" (Dvorak). 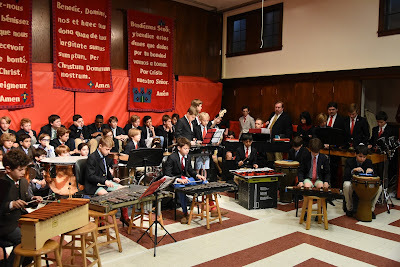 The Percussion Ensemble, under John Francis's direction, was up next with two Bach pieces: "Musette from English Suite No. 3" and "Bouree in E minor." 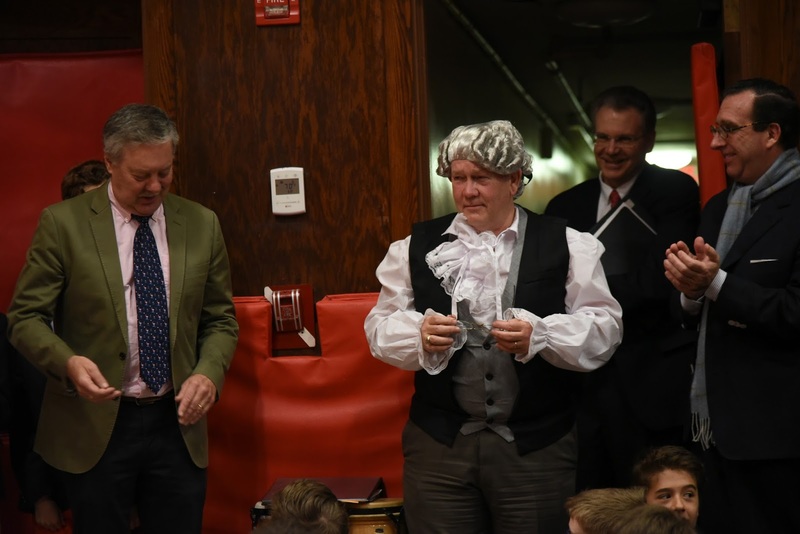 (Bach himself, or rather a Bach-impersonating Tom Ryan visited to prompt the boys to perform a "livelier" encore.) 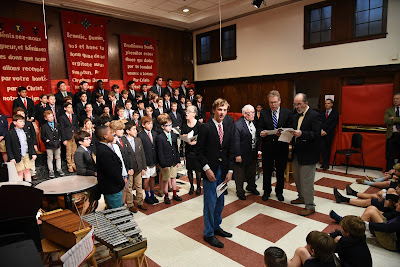 This was followed by 21 Pilots' "Heathens", arranged with talent and skill by eighth grader Andrew D.
Phyllis Clark's Chamber Singers began with "Fa Una Canzone" (Vecchi) and "Good Life" (One Republic) featuring soloists Cole K. and William R. Our school's new a cappella group performed "For the Longest Time " (Joel), led by Julian C. "Who is Sylvia" (Harris) with solo ensemble Owen C., Davis H., Oliver M., Emmet O., and Peter R. followed; and the concert closed with "Chichester Psalms Movement #2" (Bernstein), featuring soloists Davis C., Teddy P. and John S. (trumpet). Our appreciation to all of the boys' music teachers and coaches for their guidance and care throughout the year. 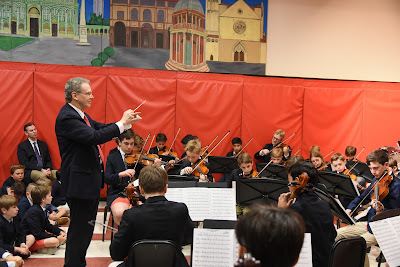 The boys' performances were spectacular, and clearly demonstrated the time and effort they have put into their music, as well as a wealth of talent. The special place that music holds in our program of studies demonstrates Saint David's continued commitment to the classical tradition of balance and the aesthetic. To a first grader, the Top of the Rock is the Top of the World. Their city lays out before them in all compass directions, and they can see for miles! 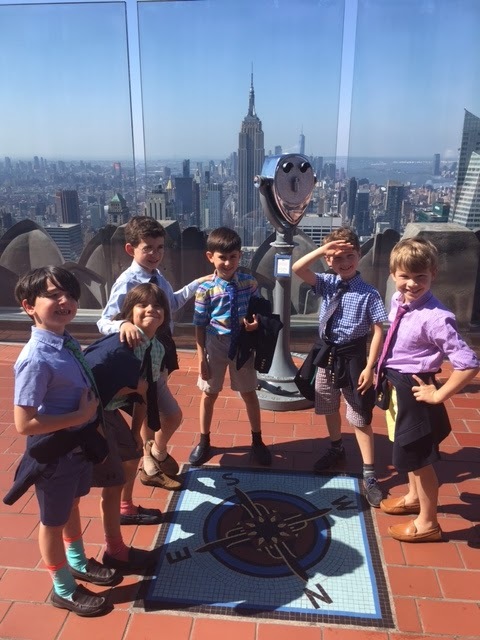 This culminating field trip, which the class took today, enabled our boys to apply what they've learned this spring about landmarks, geography, and mapping. 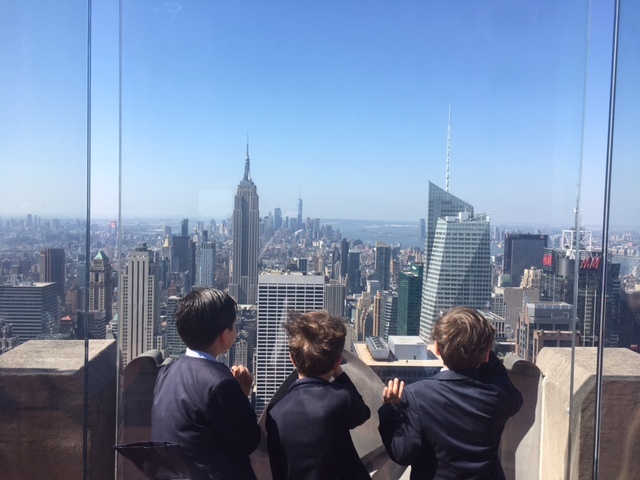 They are fortunate to be able to take advantage of a campus that stretches well beyond the walls of the school to the sites and spaces of New York City and beyond. This morning, four of our alumni who participated in the Prep for Prep program returned to Saint David's for a panel discussion with our current sixth graders, who will be welcoming two new classmates from Prep for Prep in September. Prep for Prep prepares promising young students of color from across New York City for entry into independent schools through an intensive and rigorous 14 month course of study that includes two sessions of summer school in addition to Wednesday evening and Saturday classes during the school year. During the discussion, which was led by Director of Admissions Allison Vella, Malik Graves-Pryor '92, Omar Slowe '93, Miguel Sanchez '97 and Alex Agnant '98 relayed how they enjoyed returning to Saint David's, the warm memories they have of the school, and the lasting friendships that they forged here. They also noted that while Saint David's was exceptionally welcoming and made the transition experience smooth, there were certain challenges inherent in transitioning to their new school in seventh grade. One was their often long commutes, which were tiring and could also make after school activities challenging. They noted that this was alleviated through their friendships with Saint David's families who lived in the school neighborhood. 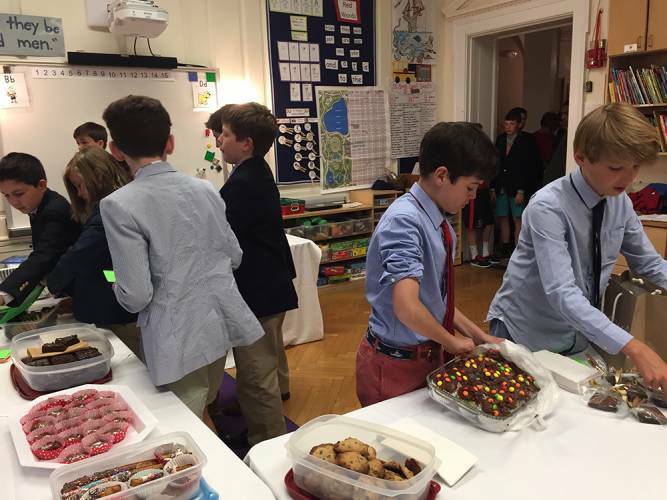 To help ease their new classmates' transition to Saint David's, the sixth graders were encouraged to actively reach out and engage the new boys, to be curious to learn about their new classmates' cultures and lives, and to openly share one another's differences. It was so good to see Omar, Miguel, Alex, and Malik. 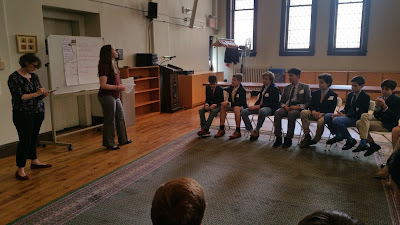 They provided our sixth graders with valuable insights into how to form and strengthen connections with their new classmates, and to continue to foster a welcoming, inclusive community at Saint David's. 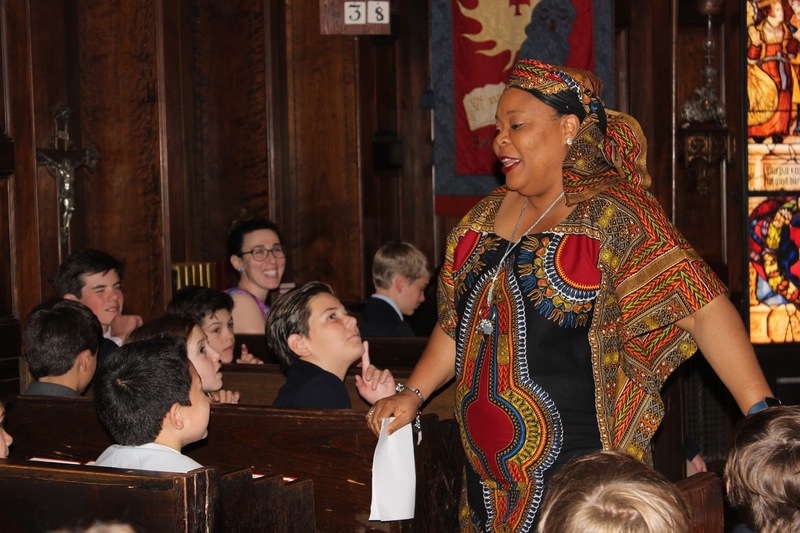 On Tuesday, Saint David's fifth and sixth graders had the honor of attending a Chapel talk given by Nobel Prize winning Liberian peace activist Leymah Gbowee. Ms. Gbowee received the Nobel Peace Prize in 2011 for leading Women of Liberia Mass Action for Peace, a coalition of Muslim and Christian women who helped to end the second Liberian Civil War in 2003. She is the founder of Gbowee Peace Foundation Africa, which is based in Monrovia and provides educational and leadership opportunities for women and youth. 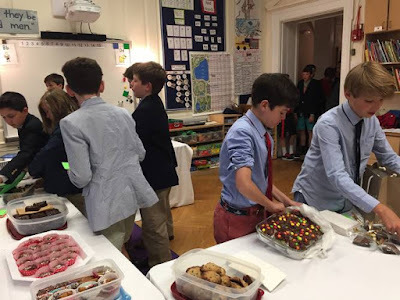 This spring as they prepared for Confirmation, our sixth graders elected to raise money for the Gbowee Peace Foundation's book bag initiative. The program provides backpacks and money for school uniforms and school supplies to high achieving Liberian children in need. The boys calculated how much money would be required to purchase a backpack and fill it with the requested school supplies. Based on the money they raised through a bake sale, they figured out how many filled backpacks they could donate. With the assistance of their teachers Emily Einhorn and Joe Shapiro, the boys ordered the bags and school supplies. During religion class next week, they will pack the bags and ship them to Liberia, along with notes for the students. The boys raised enough money to purchase 48 bags and contribute $1000 for uniforms. During Chapel, Ms. Gbowee thanked our boys for their efforts and told them that the students who receive the backpacks would be encouraged to write back and send pictures to the boys. Ms. Gbowee imparted important messages to our boys: a woman of strong faith, she spoke of how she gives back to God through her work, and shared with them her love for her country and its strong community bonds. Of her foundation's work, she noted that the biggest challenge lies in trying to meet the educational needs of the students, which frequently also include food and lodging: "Young people suffering because their basic needs are not met is a real challenge; we are trying to take care of the holistic needs of these students." The boys asked her several probing questions, including whether she would have changed anything in her life, in particular the hardships she endured. Her response was, "Absolutely nothing. As you go through life you will fall down and bruise your knee; you have to stand up." She defined a strong person as one who, when going through times of trial, of weakness, is able to save himself. 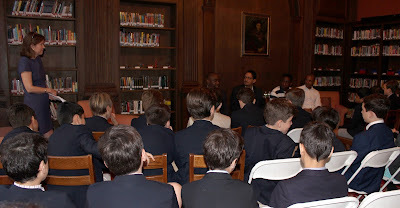 The Chapel concluded in typical African tradition, with a bit of storytelling that contains a nugget of wisdom about the boys' power over their future; a clip is featured below. Our boys look forward to corresponding with the fellow students who receive the backpacks. The opportunity to interact with Ms. Gbowee after learning about her activism and foundation's good work enable the boys to attach deeper meaning to their service project. In the end, doing good is all about forging ties among people near and far. Connections to others who, like Ms. Gbowee are agents for good in this world, provide a powerful, lasting impact. Last week two leaders from CUNY's Applied Theater master's program led workshops with our seventh graders, using situations related to the curriculum to create a drama that raises questions about the nature of truth. Boys were immersed in theatrical scenes and given roles to play as journalists investigating a controversial issue. As reporters they questioned one another about the future of a small town business, exploring ideas such as what it means to landmark a building, whether "big box" stores can be trusted, and if young people must follow in the footsteps of their elders. Through this exercise, the boys observed and tried on various points of view, interrogated perspectives, and made their own meanings. After gathering information, they worked together crafting headlines and leads for a hypothetical news story. The workshop culminated with reflections on the way information is packaged, delivered, and perceived, and, importantly, on what constitutes "truth." The boys have been connecting what they learned and explored through this workshop to their study of Harper Lee's To Kill a Mockingbird. Using theater in education is a dynamic and powerful way for our boys to think critically and demonstrate intellectual curiosity about complex ideas and issues. Fifth graders have been studying key events and historical figures from the Revolutionary Era. As a culminating project, the boys researched an important person from the American Revolution and presented their findings to fourth graders. “The Voices of the Revolution ”presentations focused on the ideas that these people generated or embraced, and the legacy they left behind. 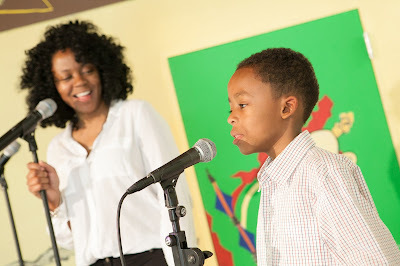 Each cohort began and concluded their presentation with a creative Hamilton-style group rap and each boy was responsible for delivering a rap to introduce one of his classmates' presentations. In this project, research, creativity, and performance combined to provide a deeper learning experience. Good men are always curious, keeping their minds open to the world around them and always asking questions. Who better than an astronaut to talk about this incredible world? 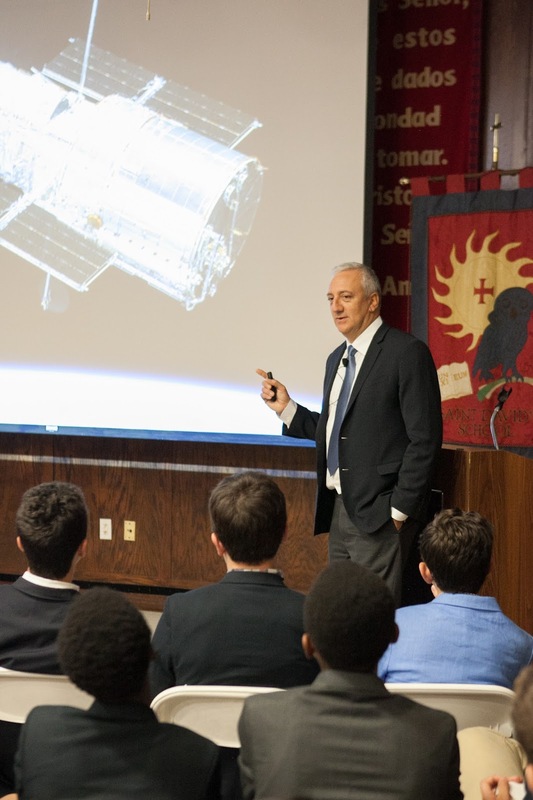 Saint David's was honored last night to welcome former NASA astronaut and author Mike Massimino, Ph.D., to share with our Eighth Grade boys and our alumni/alumni parent community the story of his becoming and being an astronaut, and the lessons he learned along that journey. Mike dreamed of exploring space after witnessing as a young boy Neil Armstrong's first steps on the moon. However, while he loved physics and engineering, he was reluctant to enter the space program because he didn't consider himself daring enough. At one point he realized that his dream of exploring space wouldn't go away, telling us, "I knew deep down that I could not live with myself if I didn't try." His determination endured despite three rejections by NASA. 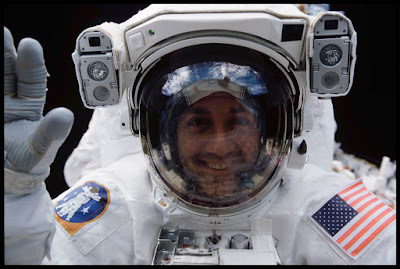 On the fourth try, he was accepted and began his 18 years as a NASA astronaut, during which he participated in two space flights to the Hubble Space Telescope on servicing missions. His message to the boys: "It's okay to be rejected; it is not okay to give up!" The presentation was fascinating for boys and adults in the room alike, complete with astonishing visuals of space and earth, as seen from the Hubble. Most impressive though was Mike's candor: he shared his fears (heights), struggles (passing the swim test during training), and challenges (facing problems in space that weren't anticipated or encountered in training). Above all else, Mike noted that being part of a supportive team is essential to success: "Teamwork is the most important thing in space and in life. You win or fail as a team." In his final comments to the boys, he told of one night when he was a graduate student. While making dinner he looked up at the television and saw that the news was featuring a space shuttle flight that depicted astronauts in the background. At that moment although he knew he really wanted to be an astronaut, a voice inside said he would never be able to be one. He did not listen to that voice, did not let it stop him. "It wasn't impossible, it was improbable; but there is always that small chance, even if it is just a "one" at the end of a string of "zeros." As long as you don't give up, there's always a chance," he told the boys. 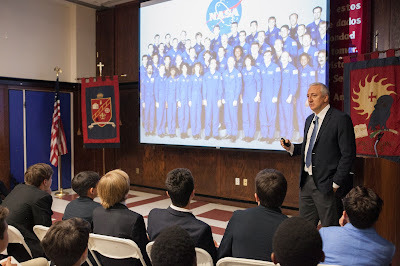 Our boys thoroughly enjoyed the incredibly rare opportunity to interact with a real-life astronaut, and each one left with an autographed copy of Mike's book, Spaceman, and much to contemplate. Mike's is a story of perseverance, of overcoming self-doubt and fear, remaining determined and positive, embracing teamwork, and possessing boundless curiosity about and reverence for the world. Fine messages for our boys and for all in the audience! Our gratitude to Dr. Massimino, to Alumni Parents Council Co-Chairs Annie Haddad and Winnie Feng, and to alumnus Blaise Haddad '12 for bringing us this fascinating Alumni Parents Council Lecture. Visited Alums at Brunswick Wednesday. So much fun. Thomas '13 is off to Brown--notice the relaxed, casual look. I think he has three days left of school. He is very excited. Charlie '16 and Tim '14 are thoroughly enjoying themselves too. I learned so much from the boys. Awesome visit. Yesterday, 7/8 Red Lacrosse took the title as Manhattan Private Middle School League Champs, after defeating Allen-Stevenson 10-0. Congratulations to the boys and Coaches Evangelista and Russo. 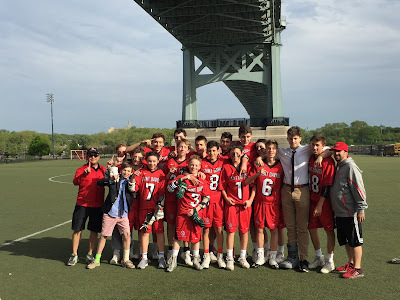 This is the third MPMSL championship Saint David's boys won this school year. Well done! 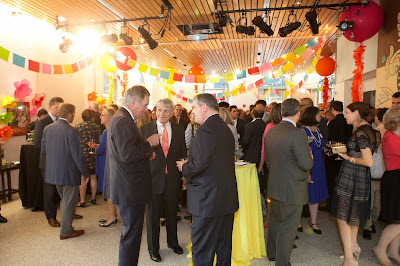 Last week we celebrated the fifth anniversary of Horizons at Saint David's at an event at El Museo Del Barrio. 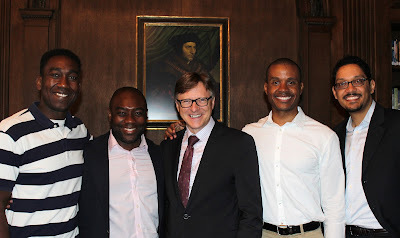 The evening was fantastic: more than 250 Saint David's alumni and alumni parents attended and raised $70,000 for this rich academic and cultural summer program that serves boys from our partner schools in Harlem. 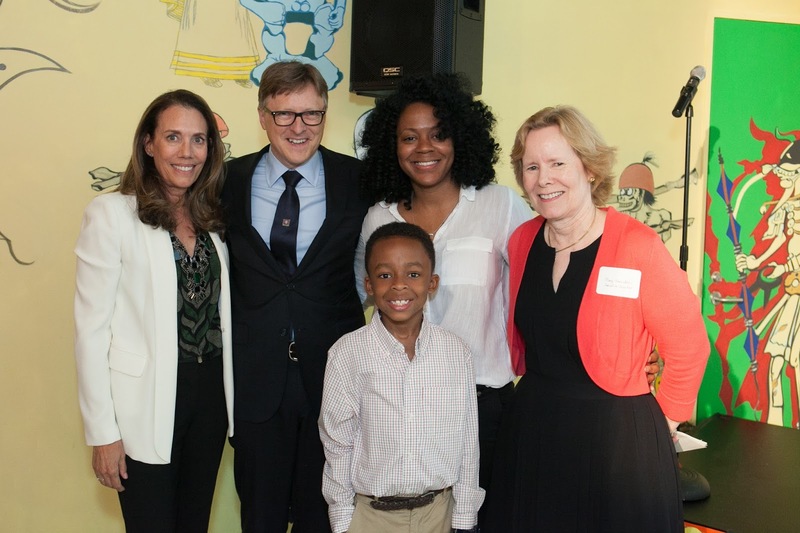 During the evening, a current Horizons boy and his mother shared how meaningful this program has been to them and Jane Williams, the executive director of Horizons National, also spoke. 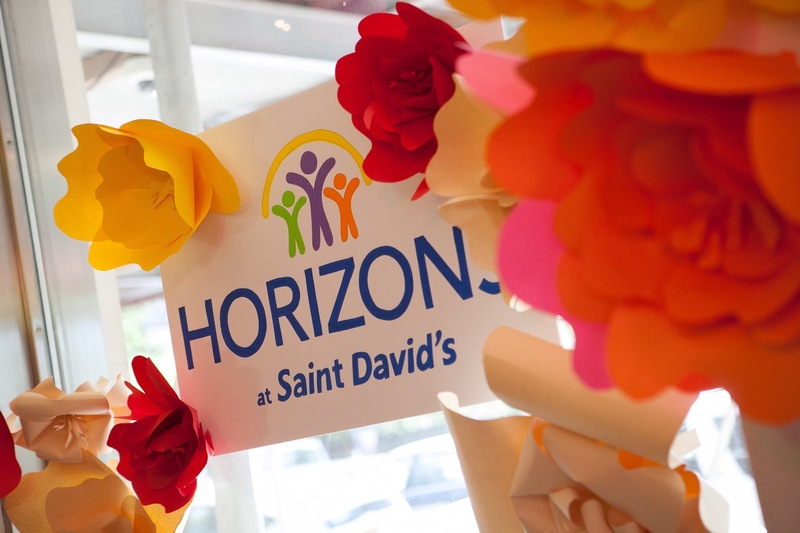 Saint David's School began Horizons at Saint David's as a way to celebrate the school's 60th anniversary milestone in 2011, by reaching out beyond our own community to contribute to the greater good. In the summer of 2012, 17 rising first graders were the program's founding cohort of students. This year, which will be the sixth, 100 rising first through sixth graders will participate in the six-week program. Yesterday Saint David's alum Ben Lindbergh '01, co-author of The Only Rule Is It Has to Work, returned to Saint David's to speak to eighth and fifth grade classes. Ben's book details baseball strategies that he and co-author Sam Miller implemented when they were offered a chance to manage the baseball operations of an independent minor league team, using advanced statistical analysis. Ben, also a graduate of Regis and Georgetown, is a writer/podcaster for The Ringer, an online site that covers sports, culture and tech. 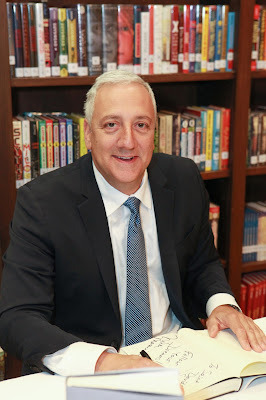 He told the boys that Saint David's provided him with great preparation for a writing career, and that he had gravitated toward writing and history classes throughout his studies. Our fifth graders, who are currently studying baseball statistics in math, asked Ben questions about the various stats used in the sport including batting average, slugging percentage and on-base percentage, and he recommended looking at these in tandem in order to get a better sense of a player's overall production. 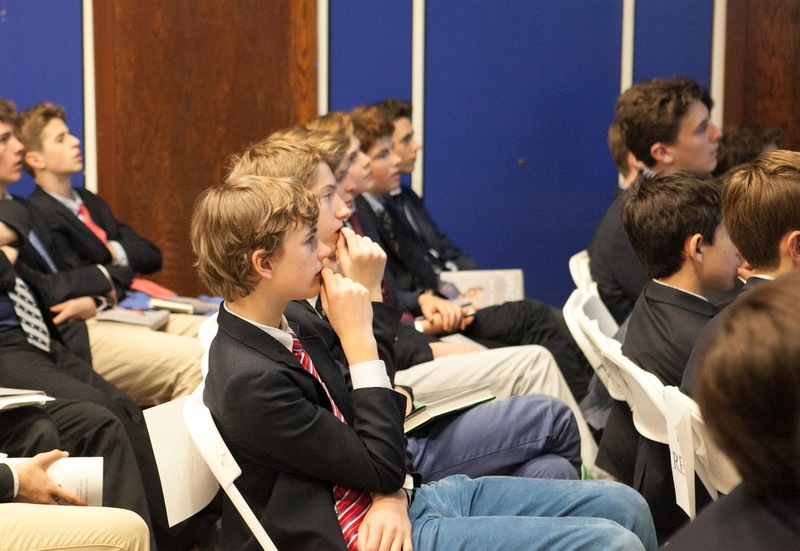 The boys enjoyed hearing from a Saint David's alumnus about how he was able to turn his interest into baseball and writing into a career writing about the innovative use of statistics in the game. It is always terrific to welcome back a Saint David's graduate, and these sessions have a strong impact on our current students. Lenore Look visited Saint David's last week, meeting with our boys in Omega, First, Second, and Third Grades. Ms. Look is the author of several picture books including, Polka Dot Penguin Pottery, Brush of the Gods, and Love as Strong as Ginger, as well as the popular Alvin Ho series. The daughter of Chinese immigrants, Ms. Look revealed that she learned English only after entering elementary school in the United States, and so initially struggled in school. She began creating her own picture books in Kindergarten because she loved the books that were read aloud by her teachers. Ms. Look also shared her writing process with the boys, recommending that they record their ideas in color coded lists in a writer's notebook. In line with our school-wide theme of curiosity, Ms. Look noted that the most important list to include is a list of questions, whatever the the boys might wonder about. 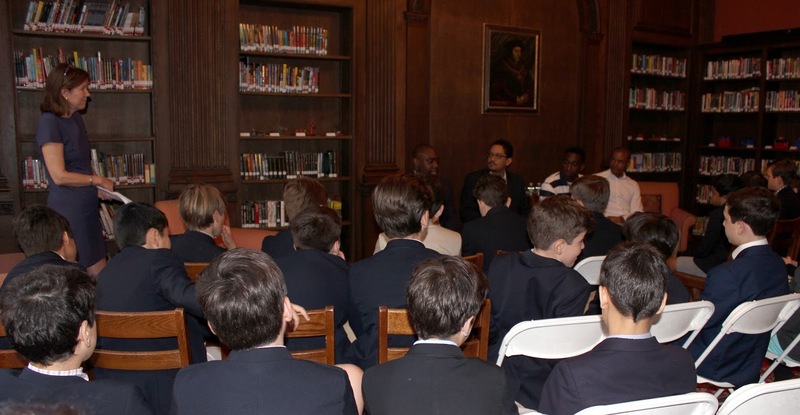 Ms. Look's visit provided a wonderful learning experience for our boys, and we are thankful to Lower School Librarian Gretchen King, and the ongoing efforts of the PA Author Series committee for bringing published authors to speak to our young boys. 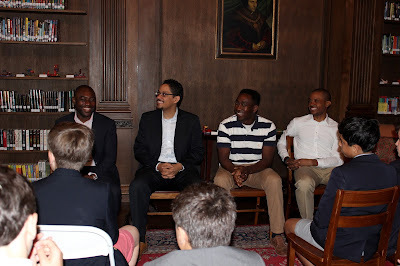 Visited Alums at Choate. Lucas '13 is off to Denison. 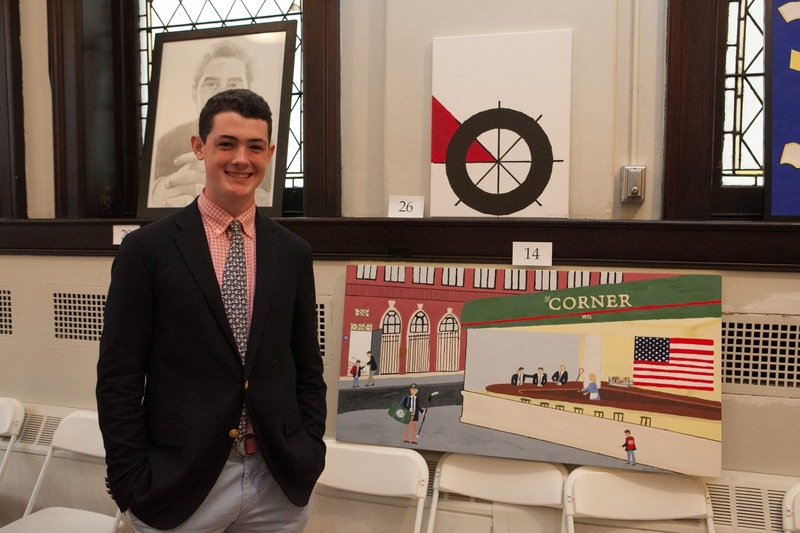 Gavin '16 and Sutherland '16 have enjoyed their freshman year. 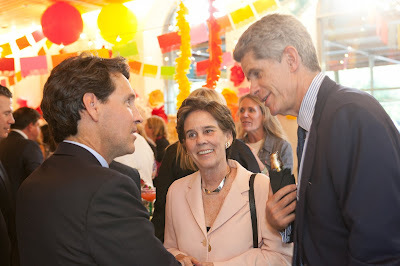 It was a cold spring day, but the company and conversation was bright and fun! Omega boys displayed their expertise as paleontologists-in-training on Friday morning, sharing some of what they've learned about various dinosaurs through song and recitation. The boys have been engaged in an interdisciplinary study of dinosaurs, which has included language arts, science, art, music, and a field trip to the American Museum of Natural History. In addition, they treated us to some of their favorite songs from music class with Mr. Moore. It was an energetic, confident presentation and performance, and a terrific way to start the day. 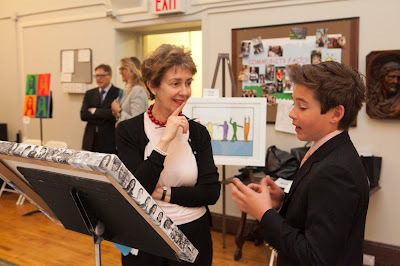 Later, the boys shared some of their work with their parents and guests. Second Grade "Directors of Analytics"